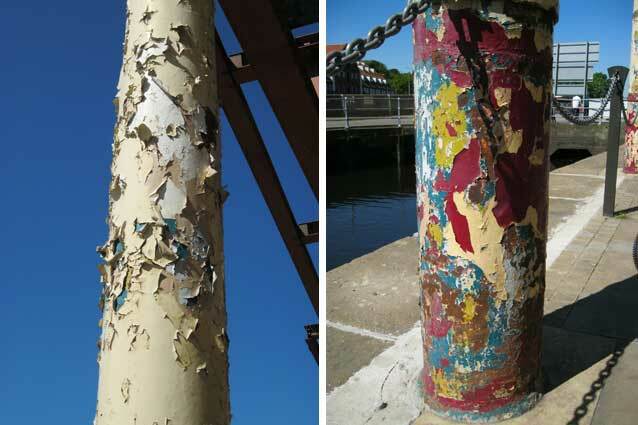 Past DanceEast stands the desolate, unroofed collonade whose columns have weathered to reveal the previous layers of of paint. 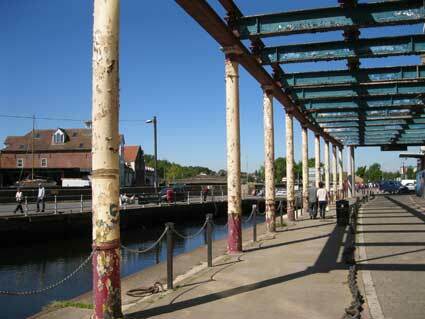 Abandoned since the Irish banks which funded the Waterfront Regeneration went bust in 2008, Ipswichians wait to see what will happen to their half-finished Wet Dock. 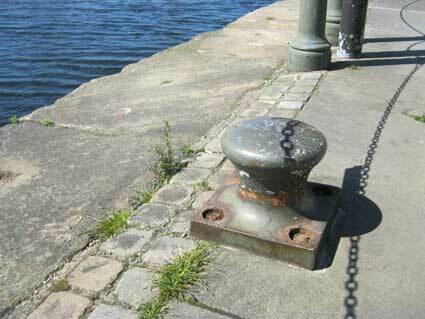 Above: the first steel ringis unused for mooring at this point. Further down is a plain cast bollard sitting on a double row of stone setts. 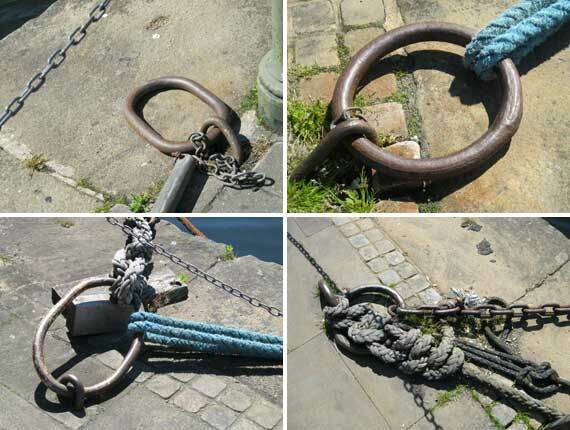 From here is a range of mooring-rings held by staples set into the stonework of the quay. All of the images on this page combine to make a gallery conveying the beauty of decay and a tinge of wistfulness for times when the Wet Dock was a hive of industry (literally), albeit probably infused with smoke, smells, noise and poorly-paid labour. 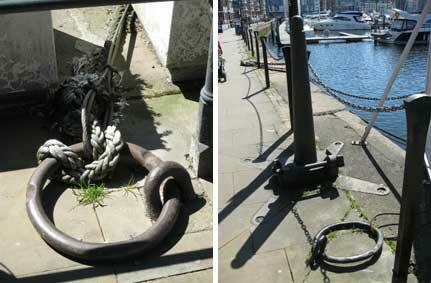 Most are in regular use to secure the barges and floating restaurant which are moored in front of the Custom House. Further around Neptune Quay and into the car park which in 2013 stands adjacent to Orwell Quay and we find surviving ground level evidence of Ransome's Orwell Works. See more ground-level lettered features on the island.